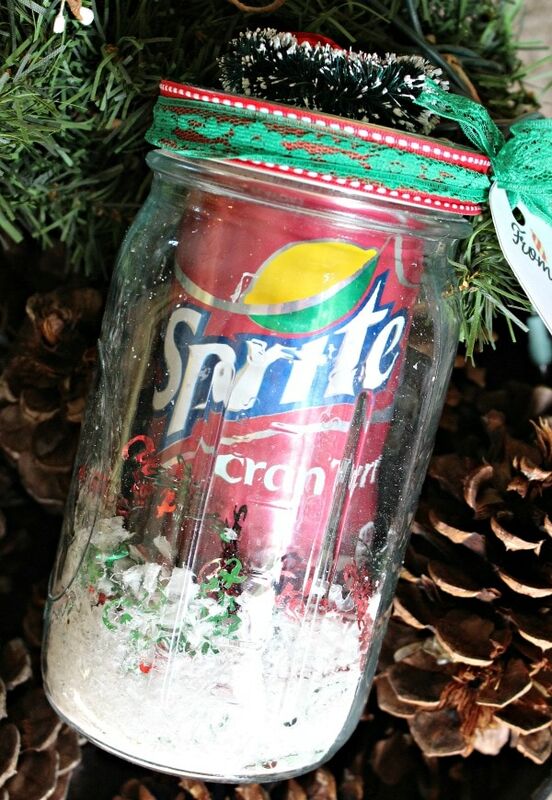 DIY Sprite® Cranberry Christmas Jars are an adorable and easy gift idea this holiday season. This simple craft project only takes minutes to make, but looks so good people will think you put a lot of time into making it! One fun part of the holiday season is going to the store and seeing your favorite seasonal products out! There are always things I look forward to buying in December. One of the products that makes me feel merry and bubbly inside is Sprite® Cranberry. The sweet-tart combination is just yummy and the color is perfect for Christmas! I love how many easy mocktails you can make with Sprite® Cranberry. It looks so pretty in a glass! 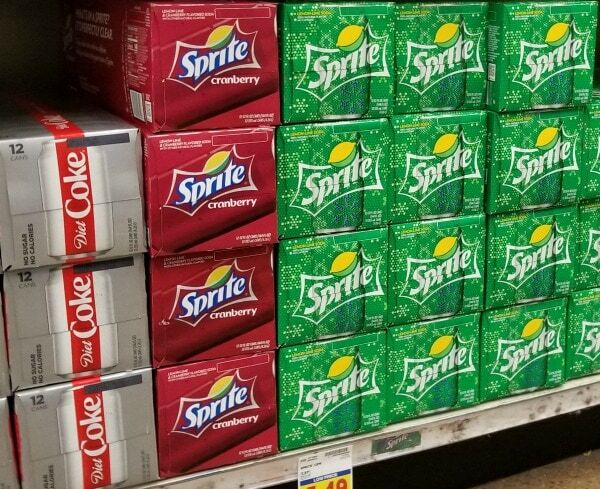 I stock up on Sprite® Cranberry 12-pks when I am at Dillons doing my grocery shopping. 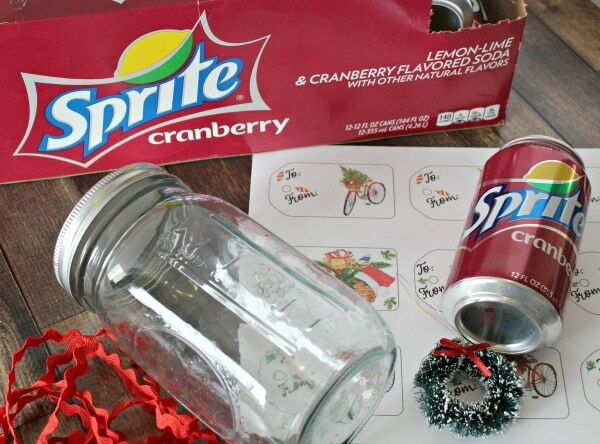 This year I decided that Sprite® Cranberry cans would make an adorable gift for coworkers and neighbors. Who doesn't love getting a gift in a jar?? This DIY only works with a wide-mouth jar. A can of soda won't fit in a jar with a regular sized mouth. There is a good selection of canning jars at Dillons and I found some wide-mouth jars with no issue. 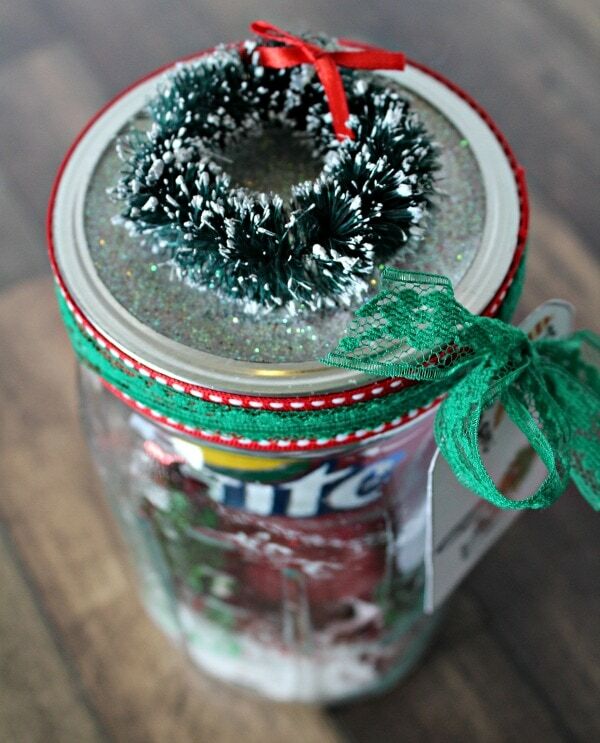 I decided to add some sparkle to the Christmas jar by covering the flat lid with glitter. I sprayed the flat lid with a spray adhesive and then sprinkled fine, white glitter on top. Don't forget to shake off the excess glitter! This will also work by painting on liquid adhesive, but it will need more time to dry. Now take the lid ring and add ribbon around the ring. I love using items in my crafting stash. I had some ribbon that came with adhesive on one side. This is the EASIEST way to go…just peel the adhesive and wrap around the ring. If you don't have adhesive ribbon, just glue your ribbon on with hot glue or a liquid craft glue. 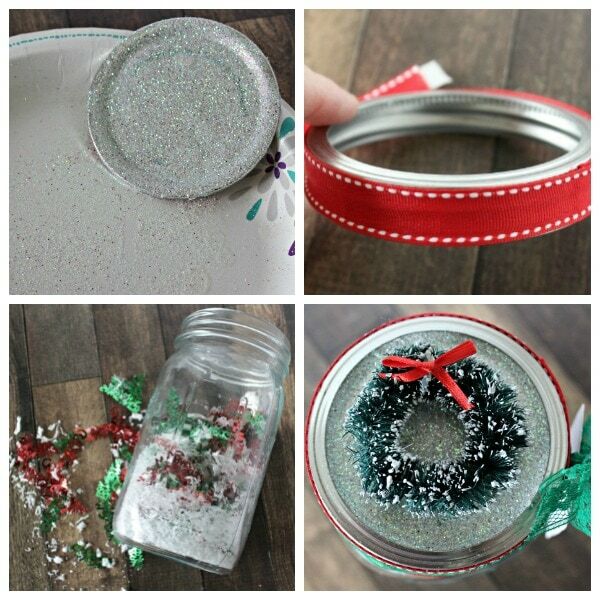 Take the “fake” snow and the Christmas confetti and fill the bottom of the jar. 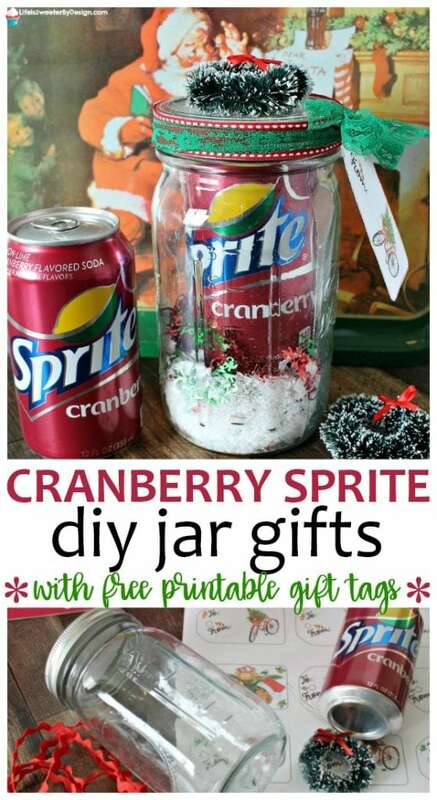 Place the can of Sprite® Cranberry inside the jar and put the lid on. 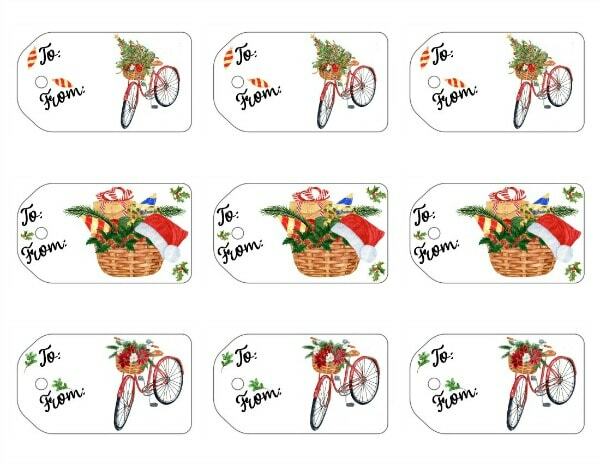 Print off the free printable Christmas gift tags HERE and cut them out. Use a hole punch to punch out the small circle. I decided to tie the gift tag on with a second piece of ribbon. There was a pretty green “lace” ribbon in my stash that worked perfectly. I just wrapped this around the lid ring over the ribbon and tied the gift tag on. Last I wanted to put something else on the lid to make it even more merry! I had some small craft wreaths…these are about 2-3 inches and are SO cute. I just hot glued the wreath right onto the top of the lid. 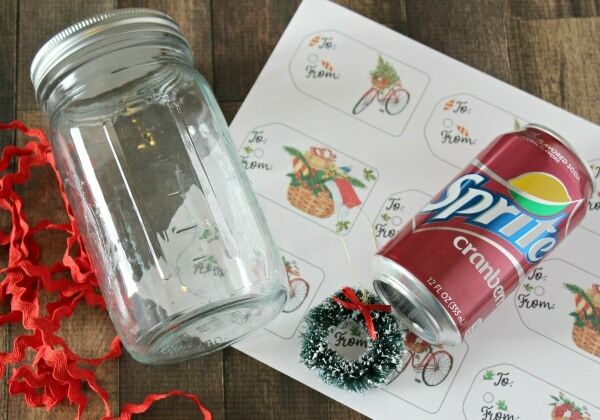 If you want to make multiple DIY Sprite® Cranberry Christmas Jars….just make a little assembly line. Do all of the lids at once, then the rings at once…etc. You will be able to finish a bunch of jars in no time. Everyone loves surprises and it was easy to create this cute Christmas jar surprise with Coca-Cola® and Kroger! I know I can always find my favorite seasonal products when I am at my local Kroger store. Who will you surprise this year? Do you look forward to seeing Sprite® Cranberry on the shelves during the holidays? Be sure to check out the Coca-Cola® Kroger advent calendar. There will be new holiday inspiration EVERY DAY so keep checking back! These are so cute! They have that holiday snow globe vibe.